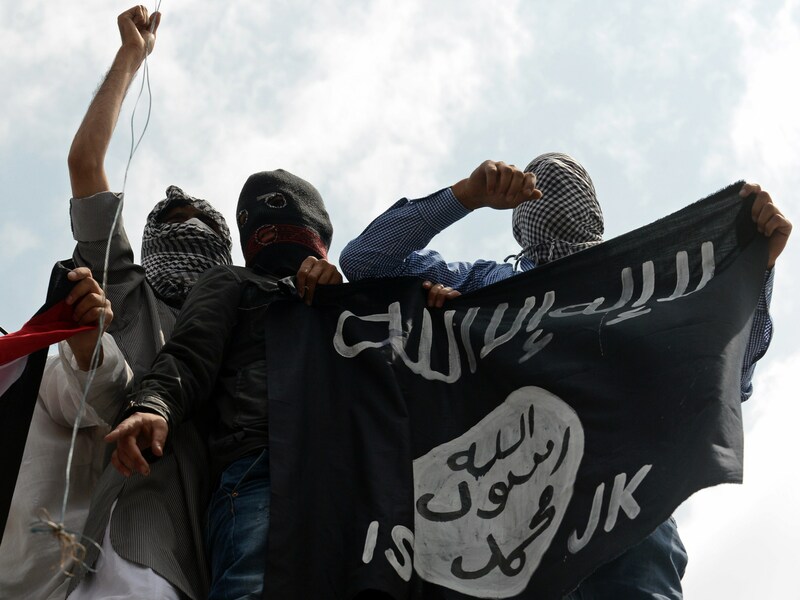 The prevalence of foreign-born fighters within ISIS' ranks has been one major cause of concern for the nations in conflict with the Islamic militant group over the last many months, as well as their sympathizers around the so-called Western world. This has been especially true in Britain, home to an outsized number of citizens who've left the country to join up under ISIS' banner. On Wednesday, a troika of Americans were charged with trying to do the very same thing: three Brooklyn men were charged with conspiring to join ISIS, according to Reuters. The trio of men — 19-year-old Akhror Saidakhmetov, 24-year-old Abdurasul Hasanovich Juraboev, and 30-year-old Abror Habibov — will all face charges of attempt and conspiracy to provide material support to ISIS, and could face up to 15 years in prison if convicted. According to a press release from the FBI, Saidakhmetov and Juraboev will be appearing in court in Brooklyn Wednesday, while Habibov will report to a courthouse in Florida, where he was arrested. As quoted in the FBI's statement, the U.S. Attorney for New York's Eastern District Loretta Lynch (yes, that Loretta Lynch) alleged the three men were both willing to travel to Syria to wage war for ISIS' cause, and to engage in domestic acts of terror. As alleged in the complaint, two of the defendants in this case sought to travel to Syria to join ISIL but were also prepared to wage violent jihad here in the United States. A third defendant allegedly provided financial assistance and encouragement. We will vigorously prosecute those who attempt to travel to Syria to wage violent jihad on behalf of ISIL and those who support them. Anyone who threatens our citizens and our allies, here or abroad, will face the full force of American justice. For the record, Juraboev and Saidakhmetov are the two men who are accused of wanting to head off to Syria, while Habibov is charged in a more facilitating role. Reportedly in charge of a series of mall kiosks in multiple states, he allegedly paid for a plane ticket for Saidakhmetov to travel to Turkey, at which point he could slip into Syria. Had the entire scheme not worked out, according to CBS News, they were prepared to launch a domestic strike on the United States. This may sound startling, and it is. While thinking about terrorism and radicalism might lead some people to form stereotypical images in their minds, there's something much more troublingly banal in the idea of a kiosk manager at a shopping mall hatching such plans. And in recent months, the U.S. has lost quite a number of citizens to the group's extremist, violent ideology — it was conservatively estimated in August 2014 that over 100 Americans had joined up with ISIS, and after several subsequent months of worldwide infamy, who knows? That number could go up even further, unless charges like these act as a deterring warning shot.